Miniature Curiosa transformed a parking lot into a drive-in theater like no other. Audiences were invited to grab a radio from a concession stand and tune into a teen scream drama while peering into the windows of a 1990 Honda Civic. Or, they could simply change the dial to experience the evening’s obscure silent film, The Clown Was Stung By Wasps. 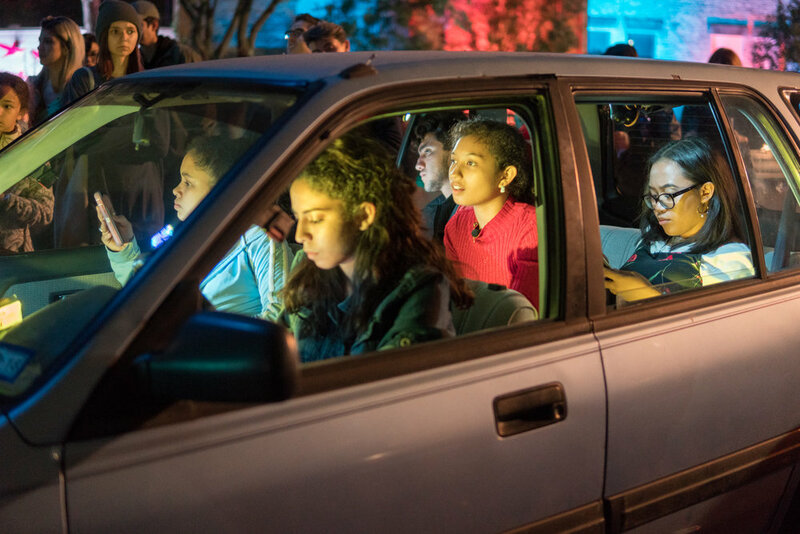 Using a real car, audio transmitted via handheld FM radios, and live-projecting video cameras filming the movie on-site, this outdoor spectacle brought an unexpected and ambitious live thriller to downtown San Antonio. Created by Miniature Curiosa Written by Murphi Cook Directed by Zach Dorn Film shot and edited by Angela and Mark Walley.